The maiden voyage of the eagerly-awaited Anthem of the Seas draws even closer today as the ship officially arrives in Southampton. The new Royal Caribbean ship will set sail on her first cruise in one week (22 April 2015) after arriving at her new homeport earlier today. This marks a huge moment for Royal Caribbean and the UK cruise industry as a whole, with a total of more than 80,000 guests expected to sail on the vessel this summer before she relocates to New Jersey in October. As the most technologically-advanced ship on the seas with robotic bartenders and world-first experiences, much attention has been paid to the futuristic features of the ship. Royal Caribbean will be hoping the family-friendly ship will introduce new cruise guests and parties to the market. The ship will be officially named on Monday (20 April 2015) during a celebratory ceremony, led by the ship’s godmother, 27-year-old travel agent Emma Wilby from Sunderland. For more information about what to expect aboard the Anthem of the Seas, visit our 20 Days of Anthem of the Seas series – exploring a new feature of the Quantum Class ship every day until its launch. 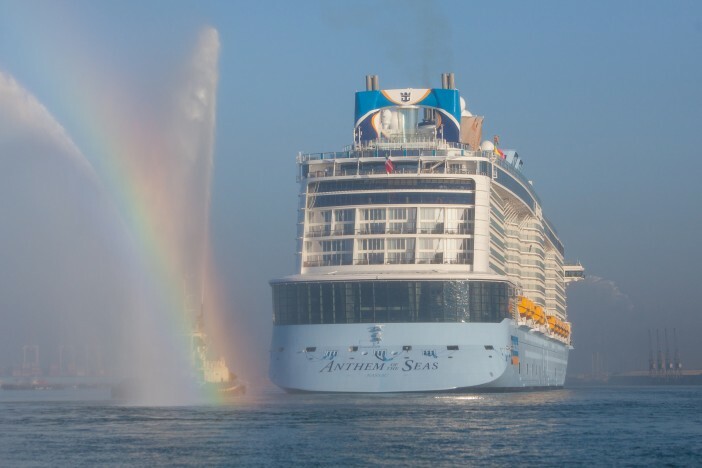 It has been announced this morning that the Anthem’s younger sister and third member of the Quantum Class of ships, Ovation of the Seas, will be homeported in Sydney Australia during her first winter season in service. 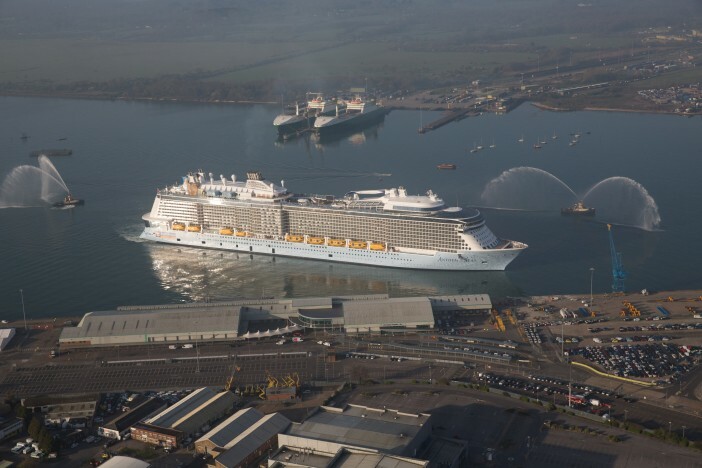 The maiden voyage of the eagerly-awaited Anthem of the Seas draws even closer today as the ship officially arrives in Southampton.